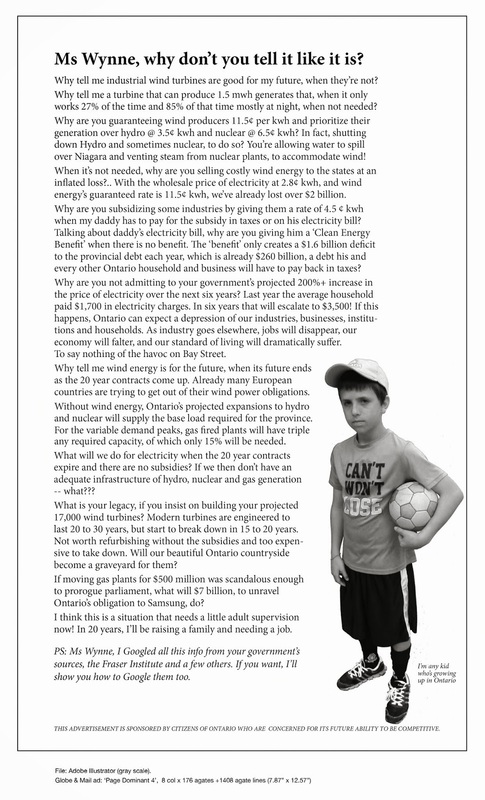 “So the fight about turbines went on for years and we never took a side.” | Mothers Against Wind Turbines Inc. This will be the story for many of our residents in West Lincoln if the NRWC wind farm is placed. Have YOU taken a side? This is why setback distances are so important but really why are these monsters still being built? Below is a frightening comment to a story in the Batavia, NY newspaper-It was sent by Mary Kay Barton of Wyoming County which is where Orangeville is located. Wyoming County is located just east of Buffalo, NY. Wildlife and wildlife habitat gone with the wind. READ the SAD TESTIMONY (below) of another couple now stuck living within Invenergy’s Orangeville, NY wind factory, who unfortunately, did not heed our warnings and get involved in fighting the wind mess prior to the wind factory being built. Can they expect ANY HELP from our elected “Public Servants”? Can they expect any coverage of their problems by the local newspapers & media? Time will tell, but it’s not hard to figure out why the world is in the sad state of affairs that it is in, when people in our own small towns are willing to throw their neighbors under the bus for a few bucks while those who were elected to ‘serve & protect’ them continue to ignore the situation – all in pursuit of a complete FRAUD. I would like to chime in here, being located in Orangeville myself. the fight about turbines went on for years and we never took a side. Then the turbines started being built. It was a mess and you dont absorb how big a turbine is until you see 1 blade being trucked in on a semi with a double length trailer bed. Months later after all the mess, they were done and running. First thing you notice is no more clean night sky, now there is always blinking red lights and if its foggy, the whole sky blinks red. Then we noticed water vibrating in our barn and in our house. Now we have lived here 5 years and never seen that before. And it happens In Just a plain old water bottle, the water vibrates… like in the movie jurrasic park when the t-rex is coming…its just like that just not as severe. Then as the weather changed for the worse or if the wind was stronger, we noticed the water vibrations get worse and we also noticed the wind turbines make much more noise.In our house we actually get a type of thumping in the right conditions. Its pretty terrible. I will close windows, turn fans on, turn the a/c on, turn the tv on just to drown out the noises. It also gives me a “I need to get out of here” anxiety feeling…and well, there no getting out of anywhere…its where you live! And we also run our business from here, so no escape at work! tried ear plugs…which will work sometimes. called the invenergy rep to complain and they sent out some lady…didnt say much and didnt help much either. We had another instance where she and some head guy from Chicago came…I showed him what the water was doing on a video i had on my phone that I took, and also showed him in person, but he didnt even really acknowledge it. All they care about is the DB meter which is really not a fair measurement of what is going on here. Overall we probably called invenergy 5 or so times to complain over the past 5 or so months. But after a few times it just seemed like the same song and dance and then there doesn’t seem to be a point in calling to complain anymore. good sleep...probably because the noise they make takes you out of REM sleep would be my guess. windows, forget enjoying outside. Unless its just the right day with no wind or barely any and the turbine are barely even moving or are just not moving at all…you will hear them. Looking back now, I would rather pay the higher taxes then have the wind turbines here. They really have changed life in a negative way and i dont think anyone deserves that. To all that think Im making this stuff up, go live by some turbines…esp. these huge ones we have here in orangeville that are even bigger than the sheldon ones, for at least a month or two, and then tell me what you think. something, the more people the better as there is strength in numbers, but how were we supposed to know about it to get on board? Previous PostBRITAIN FACES ‘WINTER OF BLACKOUTS’ AS FIRMS ARE ASKED TO RATION ELECTRICITYNext PostYard Sale Ready for Tomorrow and A visit by a Very Special Lady.